Chidambaram has been praised by Rahul Gandhi as one of the key authors of the manifesto. It does seem he has decided to forget the lessons that nearly cost Congress the 2009 elections. Since India does not have a face-off between leaders of major political parties about their manifesto promises, we can only debate how much of the promises contained in them are useful to swing voters. 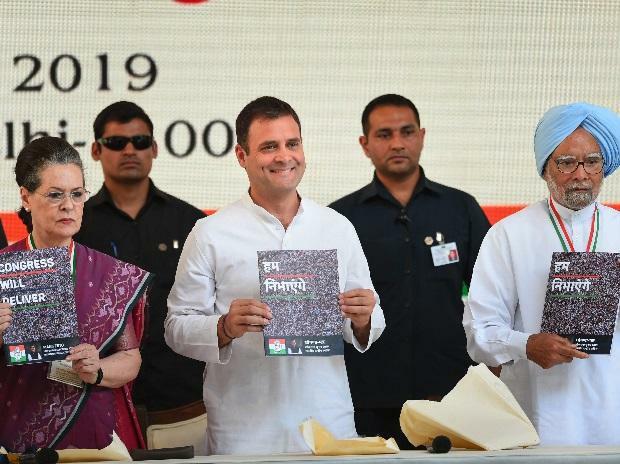 But if we assume that some of the manifesto promises do find their way into government policies, it is interesting to ask why has the Congress manifesto asked for a revival of Special Economic Zones in 2019, after it ceremoniously discarded the concept in 2009. SEZ policy until then was its biggest agenda to revive the manufacturing sector. The manifesto released by INC President Rahul Gandhi on Wednesday has promised a ‘make for the world policy’ under which foreign and Indian companies will be invited to invest in ‘exclusive export-only zones’, manufacture and export their entire production, pay no indirect taxes and pay a low rate of corporate tax. This is again their key proposal for the industry sector. This is the exact replica of the SEZ Act, which was passed in 2005. The experiment failed disastrously. Since no state was willing to relax labour laws to offer any wage arbitrage to the zones, Kamal Nath’s commerce ministry at the centre instead promised, tax holidays. The Act was the commerce ministry’s baby. But Chidambaram as the finance minister slashed through those proposed tax holidays, using every successive budget. The first to go was the promise of nil Minimum Alternate Tax, followed by exemption from dividend distribution tax as well as income tax exemption from export income. Then tax holidays for existing software technology parks were made at par with SEZ and finally with the role out of GST in 2017, exemptions from central sales tax, from service tax and state sales tax, became zero-rated just as they are for any exports from anywhere else in India. The then Reserve Bank of India Governor YV Reddy issued a terse warning to banks not to offer any loan to SEZ developers or subscribe to their equity as he was scared this experiment was going to lead to a real estate bubble and saddle the banks with bad loans. He was right but that left the developers sans any capital or labour advantage to offer the units which set up home there. The euphoria was over. The final nail was yet to come. Mamata Banerjee used the SEZs as an acronym for land grab to mount her successful political offensive against the left front in West Bengal in 2009. Once she won the elections the fate of SEZs were sealed. Till today, not only is SEZ is a no-no in West Bengal politics, any discussion of tax rebate for companies in any such enclave is bugaboo there. Those operating there are either central government-run or were set up before the SEZ Act. It would be interesting to see how enthusiastically, she supports the Congress proposal masquerading as export-only zones, especially as land has to feature in any plans to set up these places. Meanwhile protests about land grab in Raigad and other places made clear that eagerness about these zones as manufacturing centres was over. The government compromised by setting up puny company specific zones. Of the 232 operational zones today, only 25 are multi-product, the rest are from the service sector (mostly IT companies). A commerce ministry fact sheet shows that in 2018-19, these SEZs have exported about $76 billion about a third of India’s exports. Yet as our total exports have remained stagnant this decade, the exports from SEZ have fared likewise. Only some of the units have migrated to them to bloat their share compared to the rest of the economy. No Indian SEZ has acquired the scale of any of those like the Chinese, UAE, or even Kenya and Mauritius multi-unit economic zone. India’s sole entry in the FDI Magazine list of top 10 in the year 2018 is Aequs SEZ which is again a single company venture. At a recent event, Global Economic Zones: Expo and Convention this correspondent attended, participants generally acknowledged a comparable level of growth in Indian zones, is a long way off.